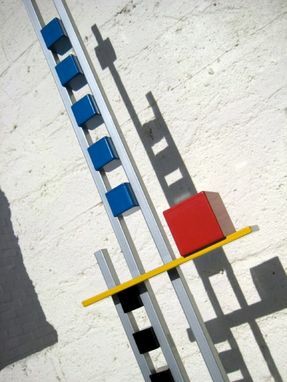 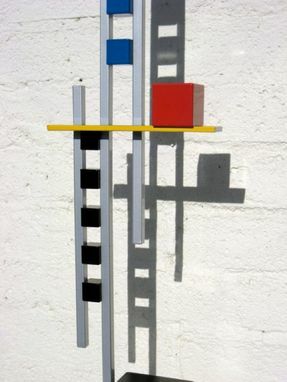 Mondrian-Inspired Metal Sculpture "Level 3"
This is the third level in a series of Mondrian-inspired sculptures that I make. 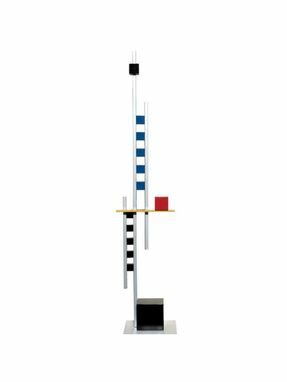 This piece is 42'' tall and makes a great display for modern-themed homes. 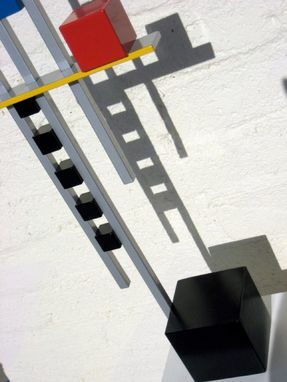 Blue, red, and black colors were used to color the steel sculpture.